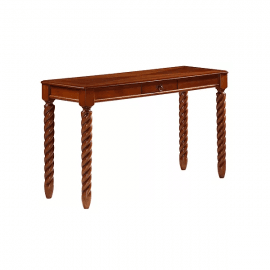 Console Tables are an essential for any home. Bigmickey.ie has a wide range of Console Tables in a variety of styles and sizes. 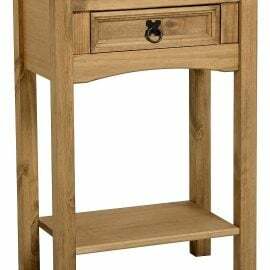 Whether you are in need of some extra storage space or you simply wish to pride your tv or stereo on the perfect piece, our collection of Console Tables has something to suit everyone. From classic to contemporary, Bigmickey.ie has everything to match your preferred style and size to fit your space. 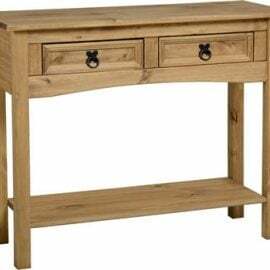 The Alton Console Table is part of the stunning Alton Occasional range. It is beautifully designed and features an oak finish floating piece to provide that truly unique look. 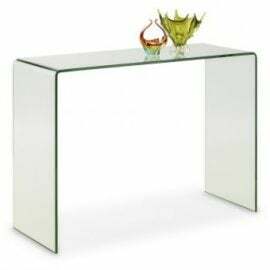 Amalfi is a stunning 3-piece collection of clear, modern bent glass occasional furniture. Each item is beautifully crafted from a single sheet of toughened glass, bent and moulded into a curvacious design with no joins or fixings. The Aspen Console Table incorporates 2 drawers above a handy storage shelf. A perfect addition to any room with a chunky rustic look. Created from Reclaimed Pine, retaining the character of the timber’s former use, including nail holes and saw marks, each piece is unique. The roughness of the wood gives the Aspen range a rustic feel and creates an “Industrial Look” that is at home in both modern and period surroundings. 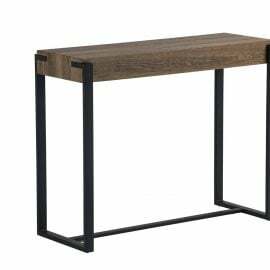 The Barry Console Table is part of the beautifully designed Barry Occasional Range. Manufactured with an oak finish top and black metal frame, it gives a modern and desirable look. 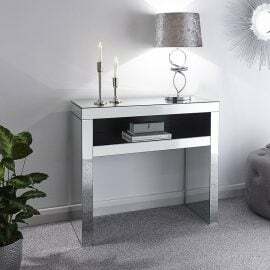 The Caprice Console Table will add instant glamour to your living space or hallway. Its simple rectilinear form is defined by the multiple mirrored surfaces that reflect light from every angle. Glamorous and indulgent, Caprice will transform any setting with its chic urban cool. The top is the ideal surface for a designer lamp, while the open shelf below could hold phones or stationery. 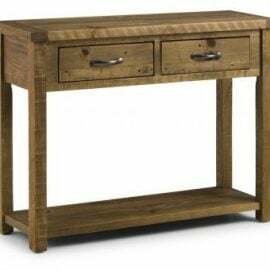 The Cordona 1 Drawer Console Table with Shelf is available in Distressed Waxed Pine. It is a real statement piece that will bring both style and function to any home. 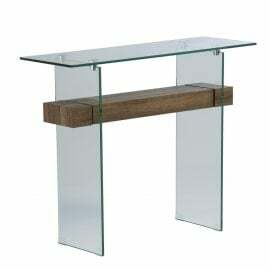 The Cordona 2 Drawer Console Table with Shelf is available in Distressed Waxed Pine. It is a real statement piece that will bring both style and function to any home. 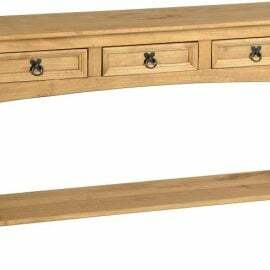 The Cordona 3 Drawer Console Table with Shelf is available in Distressed Waxed Pine. It is a real statement piece that will bring both style and function to any home.